We are committed to providing quality products and expertise for all of your exterior and hardscape needs. 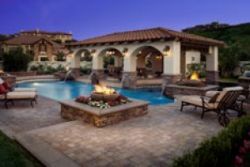 With a wide selection of brick, stone, and paver products and over 40 years of masonry and construction experience, we provide unique and stylish solutions you won't find anywhere else. Visit our 7000 Square foot showroom today. Our incredible showroom is not to be missed - a beautiful exhibition of both in-stock and special order products we carry, and examples of our products in use. 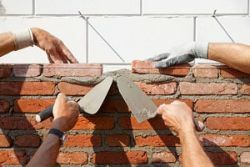 Known for its durability, energy-efficiency, fire protection, and superior moisture control, brick has been a preferred building material for many centuries. 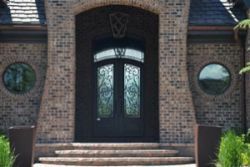 From the traditional red rectangular brick of yore to more modern textures, shapes, and color blends, our wide variety of brick styles provide a classic elegance for any space. Stone was one of the first building materials ever used, and today it remains an essential and beautiful feature in architectural and landscape design. 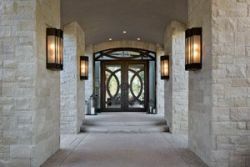 From natural stone to manufactured stone, river rock to limestone, stone veneers to cast stone accents, we can help you find the perfect color, cut, and texture to enhance both indoor and outdoor areas. At Beehive Brick & Stone, we believe decorative pavers provide the perfect finishing touch for exterior spaces. Our Belgard paver products are not only functional and durable, but they come in a wide array of colors, materials, shapes and styles - an ideal choice for your walkway, patio, driveway, or retaining wall system. Here at Beehive, we offer more than just great products. For over 35 years we've worked with Utah's best contractors, providing on-site assistance, customized marketing, delivery, inventory warehousing, and other business services.